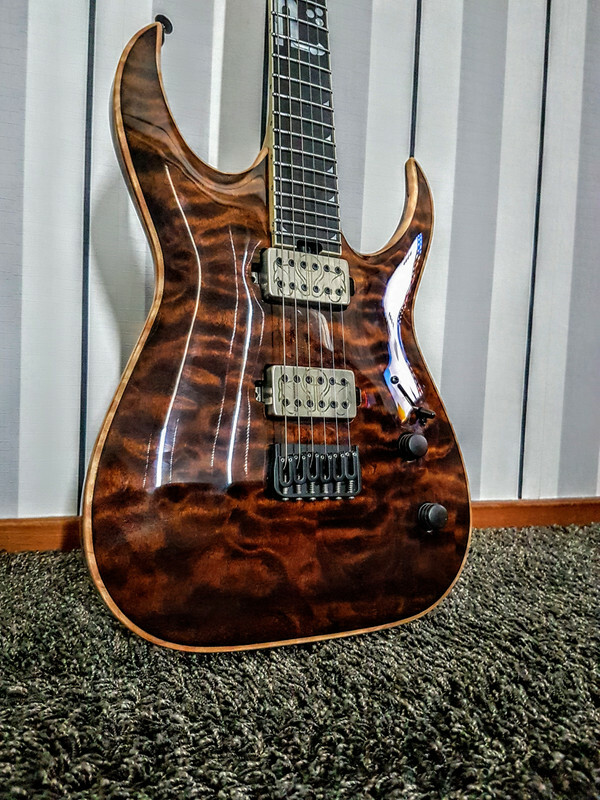 Discussion in 'Guitars For Sale / Trade / Wanted' started by NickVicious24, Mar 1, 2019. 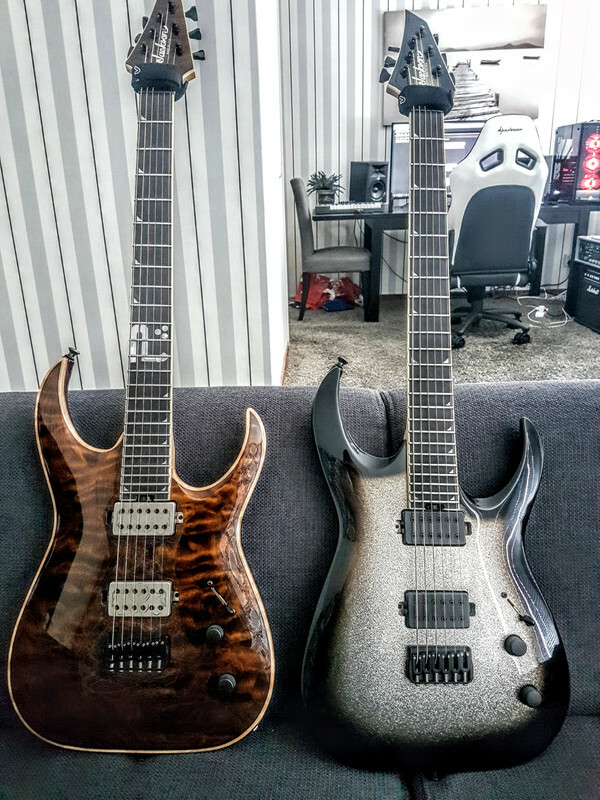 Up for sale/trade my two Jackson USA Juggernauts. The silverburst is the regular USA version, and the Amber Tiger Eye the USA Bulb one with the Periphery inlay. Both guitars are deadmint and come with the original case and case candy. I'm looking to sell/trade only one of both, as I still love the crap out of these models and would always keep one of them as my main. Owned a JPX a few guitars back and i'm still torn up about selling it. Both guitars come with their original BULB hard case and all original case candy. Beautiful guitars. 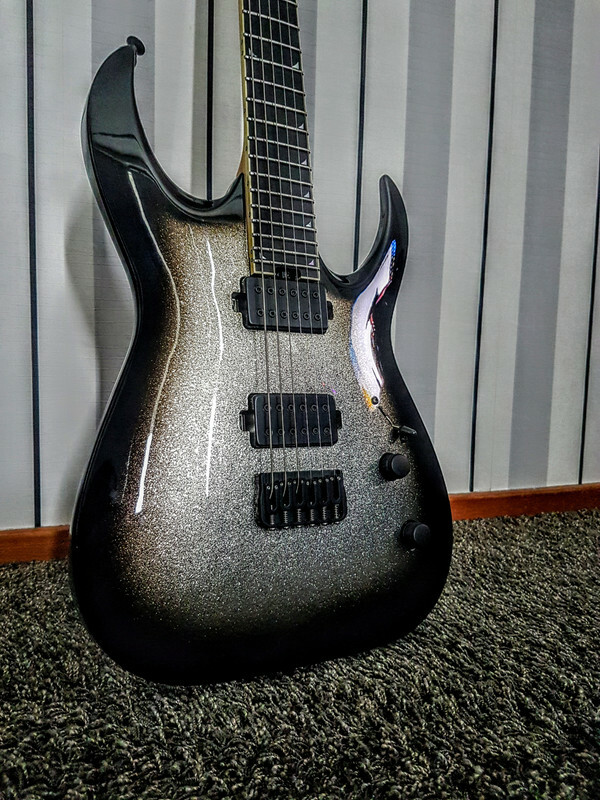 I used to have a Silverburst HT6 and I miss it a lot! Good luck with the sale. Somebody clearly didn’t enjoy periphery’s new single . Good luck with the sale, both look stunning!